Create a big brand impact with super savings on authentic 3M Post-it® Notes! White paper Post-it® Note pads have 25 sheets each. Jot telephone messages, reminders, to-do lists or thoughts off the top of your head. Full color imprinting offers you endless logo opportunities! Adhesive on 4" side of the pad. 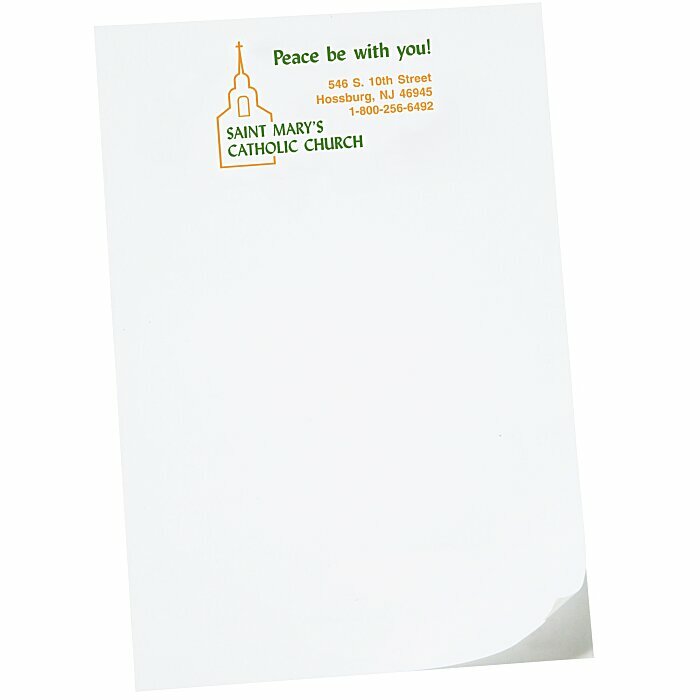 Your price includes a full-color imprint at the top of each sheet.